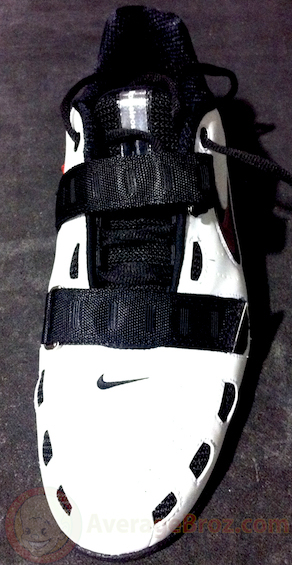 The first generation 2008 Nike Romaleos were so heavy and stiff that the outsole was nearly impossible to bend. How far has the apple fallen from the tree? All the way to a different orchard! After the 2008 Beijing Olympic Games, the Romaleos faded in the marketplace. There were issues with the shoes: heavy, stiff, and the splitting soles to name a few. 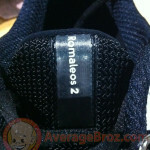 With the new version, Romaleos 2, Nike reps told us that their main goals were to increase flexibility and reduce weight. Well, they succeeded. Nike claims an approximate 20% reduction in weight over its predecessor. 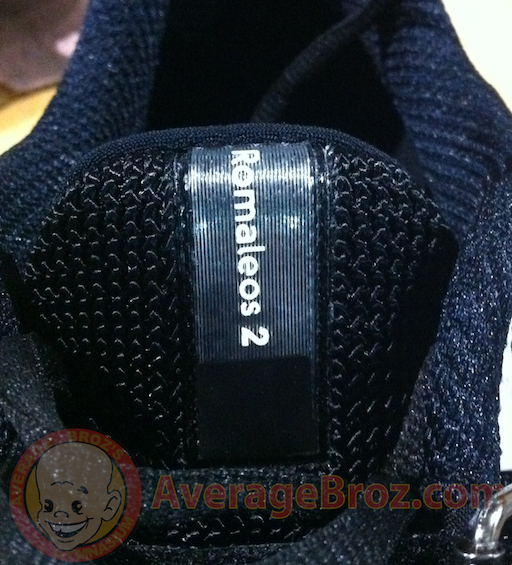 In our review, the 2008 Romaleos weighed a hefty 620g (size 9). The new svelte Romaleos 2 slips the scale at 477g (size 9). This is a 23% diet! Nike redesigned the entire shoe internally, specifically the toe box and midsole; however the Romaleos 2 visually appears the same from the inside and out. Now the welt and outsole are mildly pliable, but one wouldn’t ever confuse this with being flexible. It remains difficult to bend the shoe in the metatarsal area and even after its diet, it remains, by a small margin, the heaviest shoe in its category. The designers enacted few overall styling and visual differences between the original Romaleos and the Romaleos 2. 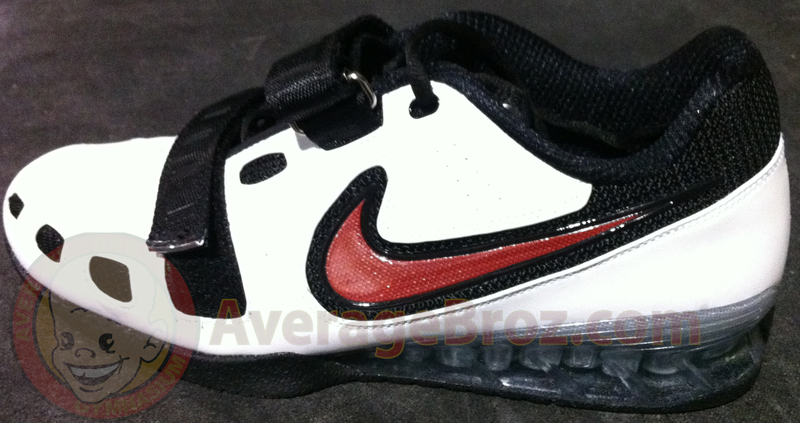 Nike dropped the “08-08-08” on the back heel cup and added a “2” on the tongue. These slight changes provide the only clues that it’s a new model. As with the previous model, the heel consists of TMU (Thermoplastic polyurethane). This material yields many advantages over the traditional wood still utilized by other shoe manufacturers. The shape can be manufactured with contours to form what Nike calls the “Power Bridge.” It’s transparent, which looks cool and offers a lot of stability. TMU keeps manufacturing costs low and offers more potential options when designing the shoe. For example, Nike markets this shoe with “variable height heels,” which enables Nike to maintain the pitch of the shoe regardless of the size purchased. Other shoe manufacturers use similar height heels, and with the shortened shoe length, the pitch can change. We measured three various sizes, and all had the same 8% pitch. For quality control purposes, we weighed both the left and right shoes to check manufacturing consistency. Being a giant shoe manufacturer, it’s no surprise that both shoes were almost identical. Nike was the best in this category. 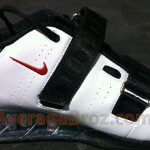 The shoes differed by less then 1% in weight, a very narrow margin compared to other weightlifting shoes. 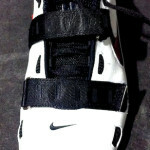 The width of the shoe is accommodating. 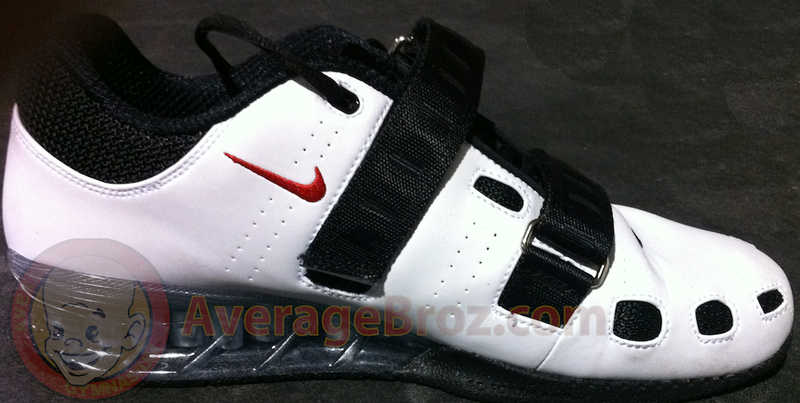 Nike lists it as D, but lifters with wider feet didn’t experience any discomfort using them. They fit true to size for both men and women. After we lifted in the shoe for a week, the results ended in mixed feelings. Some really liked the stiffness because it offered so much lateral support that they felt tons of confidence — almost as if they were planted to the ground. Conversely the others felt that it was still much too stiff — like walking in a ski boot, not a shoe. Also, the built-in arch is high. Some felt it very obtrusive, and some didn’t notice. The main issue with the arch is that it’s incorporated into the power bridge, thus not removable. The lace design works very well. It’s easy to snug the shoes very tight with little effort. The bottom strap is overkill. On or off, we couldn’t notice a difference. The top strap was too long for some and would drag the ground. At our gym, whenever a conversation strikes up about what’s the best shoe or picking a favorite shoe of any tested at any price, it’s always between Nike and Adidas. This is saying a lot considering Nike is relatively new to Weightlifting shoes and Adidas has been on top, non-stop since the late ’70’s. Make no mistake. The Nike Romaleos 2 is a top-notch Weightlifting shoe and has come a long way since the original version. The option of multiple color combinations is an added plus. 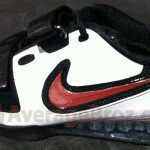 If your goal is strictly Weightlifting and you prefer a cemented, rock solid feeling, then this shoe will not disappoint. It’s by far #1 in this area and definitely a shoe worthy of the price. If, however, you require a shoe for lifting heavy weights, along with mild amounts of agility or brisk walking in comfort, then check out the Adipower. 4 color combinations to choose from! Did you try doing cleans, snatches, and split jerks in the Romaleos 2? If so, did they perform well or are they too stiff and clunky for those lifts? I know Lu Xiaojun competes in these and set a world record in them, but he does a standard squat stance jerk (whatever its technical name is) instead of the split jerk. Are the Adipowers better for Olympic lifts or are the Romaleos just as good? For professional lifters it’s a must have!